Command a squadron of advanced Armored Core mechs in a dystopian future ravaged by war. Players will form squads of up to 20 members and enlist into one of the various in-game factions to wrestle control of territories away from other players in the game’s persistent multiplayer mode. New gameplay features will be implemented into Armored Core: Verdict Day to ensure that players who choose to play alone will be able to create and recruit a squad of A.I. controlled mechs and enjoy the robust feature sets of co-op and multiplayer modes while new matchmaking system ensures that players will always find battles at a moment’s notice. The Operator Mode returns from Armored Core V, allowing players to tactically command a squad of Armored Cores through missions by relaying real-time information to other pilots by marketing targets and setting rally points. Armored Core: Verdict Day expands the role of Operator to fully command a squad of computer-controlled Armored Core mechs, creating a brand new real-time strategic mode for the Armored Core series. The Bandai Armored Core Verdict Day PS3 Playstation 3 Game was added to the PS3 Playstation 3 Games category in June 2016. 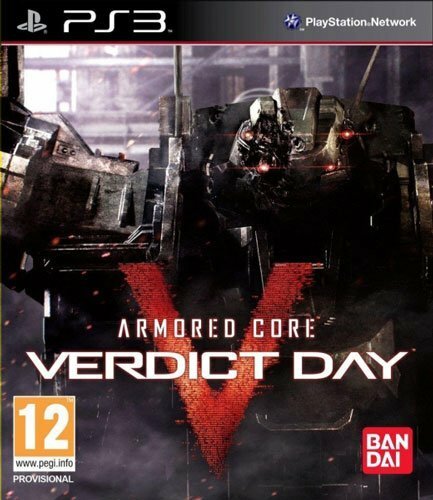 The lowest price GetPrice has found for the Bandai Armored Core Verdict Day PS3 Playstation 3 Game in Australia is $69.95 from DVD Land. Other merchants who stock it are DVD Land.